John Aubrey’s autobiography is one of the longer and more disorganised entries in his ‘Brief Lives’ manuscripts. Aubrey changes between past, present and conditional tenses, and between the first- and third-person throughout. He begins by accounting for his life in ‘an astrological respect’, and goes on to describe his parentage, birth, education and career, financial fortunes, and other affairs, often giving insight into personal dispositions and inclinations. As a child, for example, Aubrey wished he lived in Bristol, where he would have access to ‘watchmakers, locksmiths etc’. ‘At 8, I was a kind of engineer’. Endearingly, Aubrey writes of himself: ‘His chief virtue: gratitude’. One of the entries, recounting a narrow escape from being stabbed by a drunk stranger, seems to imply that Aubrey was attempting to set his accidents in the context of some astrological arrangement, as he adds a note: ‘(Memorandum: horoscope thus)’. The passage gravely concludes: ‘I have been twice in danger of drowning’. 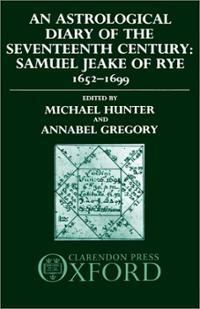 Accidents also features in Samuel Jeake’s diary. 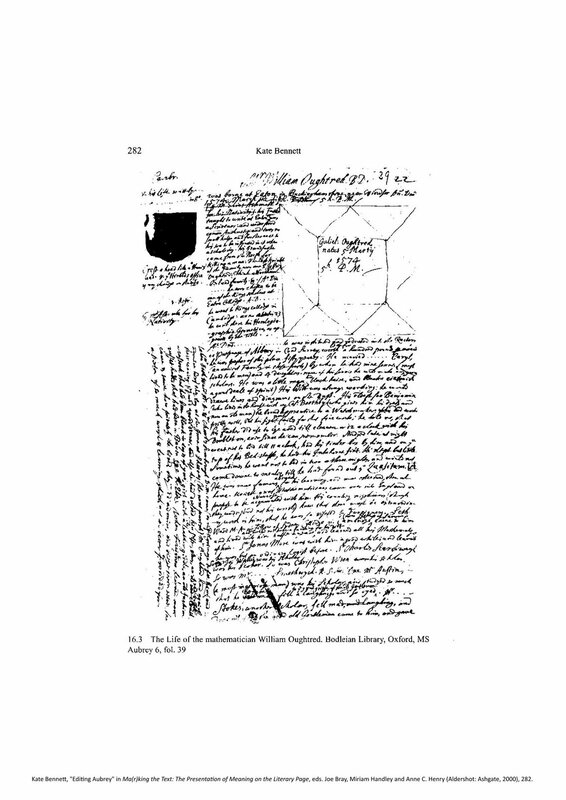 Jeake, a Nonconformist merchant and amateur astrologer from Rye in Sussex, kept a record of his life which he plotted against the constellations. He back-dated his diary to his own birth, and the first entry of July 1652, when he was four months old, records how ‘I fell out of bed but had no hurt’. Like Aubrey, Jeake recorded accidents and other important events of his life up to the time he embarked on the diary: in 1660, when he was eight, or ‘About this year (but I remember not exactly) as I was catching of Crabs at full Sea; I fell from a Rock into the Tide up to the middle’. As the diary unfolds more detail is given with the memory of each accident, or near-accident. On 16 August 1693, coming home in the dark, ‘I was in great danger of falling over a Load of Wood which lay out in the Middlestreet, which being just in my way, I was within Two steps of stumbling on it, not seeing it. But it pleased God to send a Flash of that Lightning which was very frequent that evening’. On 30 September, Jeake was again going home in the dark, this time on horseback. Riding downhill along ‘a Rivulet of water’, Jeake’s saddle slipped forward onto the horse’s neck, and ‘I was twice like to be thrown off into the water’ – if this had happened, Jeake speculates, he might have been drowned, or ‘trod underfoot’ by his horse, ‘or at least have been all wet’. A similar near-accident on 10 January 1683 resulted in Jeake catching his feet in his own stirrups. ‘The Sun at the time of this Accident was in the 15th degree of Aquarius which is supposed to signify the legs’, he notes. Almost (but not quite) falling out of bed in January 1693, Jeake is also put in mind of the astrological context: ‘I would therefore refer the accident to the opposition of Mercury out of an airy sign’. The experience of traffic accidents, dangerous illnesses, broken bones and embarrassing falls are things that remain for a long time in human memories. Aubrey’s and Jeake’s autobiographical writings seem to show a particular interest in the memory of what we would now call ‘accidents’ – though they would have defined this word more broadly, as any occasional or chance event. In particular, Jeake and Aubrey set these ‘accidents’, or disordered events, against the constellations, which they believe to be orderly but inscrutable. By recording their lives, both Aubrey and Jeake seem to have been trying to assess a correspondence between very real events on earth: horses falling over in mud, men tumbling into rivers – and movements in the sky above the earth. Each man, stores up a memory, and seems to attempt to reveal a pattern in a series of otherwise random collisions. Yes, the astrological meaning of ‘accidents’ is clearly something that is really important to Jeake and (to a lesser extent) Aubrey. Of course the other unworldly influence that people looked for in everyday accidents was God: divine providence was overwhelmingly important to many people at this time. I’m always amazed by how often seventeenth-century people thanked God for preserving them from broken bones and other missteps, or worried about their sins when they suffered some unexpected affliction. Some diaries from this period are essentially just lists of ‘god’s providences’ in their lives. I think what would really be interesting is to see how much these two explanitory frameworks – astrology and providentialism – overlapped. Did some people believe both at once? Yes, I’d be very interested to see know more about how Jeake, in particular, sees the meeting or identity of the two. It makes me think of Hooke’s memoranda book again: early entries seem to chart his activities against (amongst other things) columns recording astronomical movements. And both he and Pepys, of course, give thanks for divine delivery from various evils like Pepys’ kidney stone, or Hooke’s various mishaps (‘fell into dirt at Lad Lane’, etc.). Interesting: I’d hadn’t heard of Hooke before but his memoranda book sounds very promising for exploring this sort of thing.